Connecting Team and content together, sites have always played the role of core collaboration across organization. Modern design is effective and captivating, with a touch of flexibility and ease-of-use. In today’s era, user experience is everything, when it comes to new technology. Not even the new SharePoint Server 2019 is catchy in ‘look and feel’, but is engaging, entertaining and rich with contextual content. It ensures reliability, security and minimum complexity. 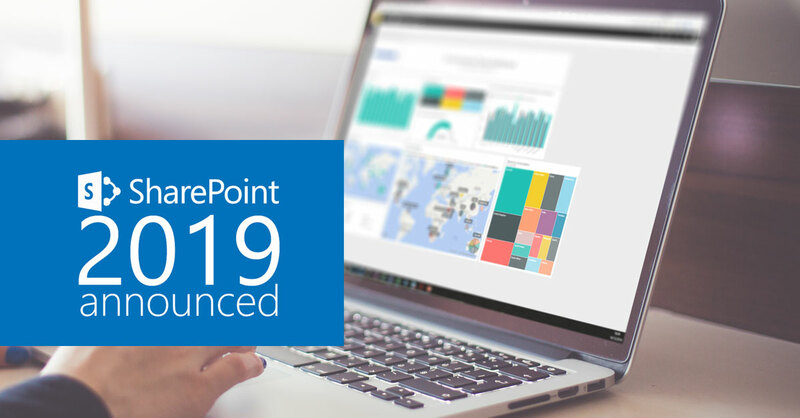 SharePoint 2019 introduces a new way of sharing content using Microsoft PowerPoint, Excel and Word documents, images, embedding video content, and many more. Modern pages shall be published efficiently and in a quicker manner that are good for each display. The modern list experience in SharePoint Server 2019 is more responsive, more intuitive and provides the best combination of Microsoft SharePoint with OneDrive usability. Next Gen mobile collaboration and better intelligent intranet makes working together a fruitful experience in the newest version of SharePoint server. Providing improved mobile experience to SharePoint mobile users, it also makes collaboration and file storage people-centric and supports latest sync client generation with on derive for Business. Microsoft SharePoint 2019 provides all the necessary resources needed for a collaborative work flow within organization, and improved mobile experience for intranet is one of the core elements. It makes file sharing on-the-go which is more personalized and intelligent. The offered file sizes have increased: up to 15GB, a few character restrictions are maintained with file names and path length restriction has been increased from 260 Unicode code units to 400. Yes, you heard it right. MachPanel supports the services offered by SharePoint Server 2019 and hence can assist you in deployments smoothly and efficiently. Customers all over the world trust MachPanel with their SharePoint solutions and turnkey solution deployment services. Automation module for SharePoint Server supports other versions like SharePoint 2019, 2016 and 2013. It provides entire automation for on-premises SharePoint Server. It also offers selling of sell fully segregated multi-tenant hosted SharePoint environment. It’s a great opportunity for CSPs to get their hands on MachPanel and deploy SharePoint Server 2019 in the most hassle-free manner. This entry was posted on Tuesday, November 13th, 2018 at 3:06 pm	and is filed under Announcements, Microsoft SharePoint. You can follow any responses to this entry through the RSS 2.0 feed. Both comments and pings are currently closed.